The great outdoors is alive in Kentucky with mountains, lush forests and streams, and rivers and lakes with more running water than any other state but Alaska – all near our historic bed and breakfast inn. There is great outdoor fun for every member of the family. There isn’t anything quite like spending time outdoors with your family. That’s why we’re looking to do something like this somewhere else, I’ve already been checking out hiking trails around Seoul. What an adventure that would be! 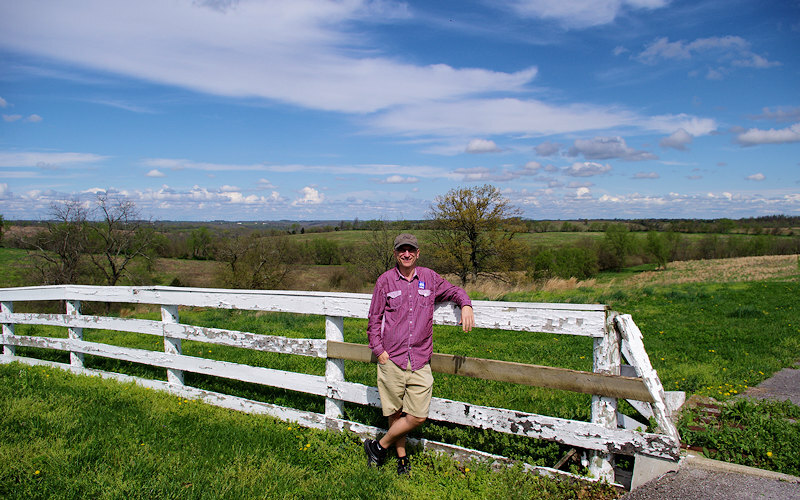 Nearby Shaker Village of Pleasant Hill has numerous hiking trails meandering around their vast acreage, complete with old mill sites, waterfalls, scenic overlooks, and common critter sightings. There are many great hiking places within Kentucky. Many of Kentucky’s state parks provide marked trails and most of the state nature preserves and public wildlife areas have available hiking. Buckley Wildlife Sanctuary: Three self-guided trails traverse the Center’s 374 acres, inviting visitors to experience a variety of habits, including small ponds, fields and mixed mesophytic forest along the Kentucky River. A dramatic gorge exposes limestone rich in marine fossils. Salati Wildlife Center: The Pea Ridge Loop Trail is marked by white blazes. From the beginning of the trail where it branches off of HabiTrek back to this same point, it is a 2.41 mile hike. If you start your hike at the Picnic Shelter Access, it is a 3.17 mile hike. If you enjoy biking on country roads with a few hills, we have the biking paths for you. Chuck and Helen enjoy a route of about 20 miles that circles the southern part of our county going into Boyle County and back. But with the help of the front desk and a local map we can plot out a route to fit your desires. Also read about the TransAmerica Bike Trail. What better place to ride horses than “the horse capital of the world!” A guided trail ride is offered at the Lexington Horse Park, just 50 minutes from the Inn. Big Red Stables – 1605 Jackson Pike – three miles North on U.S. 127, Harrodsburg, Ky., (859) 734-3118. Enjoy more than 2,000 acres of beautiful Riding space. Guided or unguided rides available. Open daily 9:00 a.m. until Dark, by chance or appointment. Admission charged. Kentucky Horse Park – 50 minute guided trail ride, western style saddle. Rides beginning at 10:00 a.m. and ending at approximately 4:15 p.m. Trail rides go out every hour and fifteen minutes after 10:00 a.m.
Shaker Village’s 3,000 acres is a sanctuary for over 125 species of local and migrating birds. Throughout the village and along the many trails, bird watching has become a favorite pastime for many guests. The serene environment of the woodlands, native prairie grasses, rolling fields and ponds provides a diverse setting for a wide variety of birds. Search for migrating birds in the spring and fall and get to know local birds during the summer and winter months. Spring is the most spectacular season for bird watching at the village with peak spring migration the first week of May. The streams and lakes of Kentucky are great places for freshwater fishing. There is no closed season on fishing in Kentucky. Herrington Lake offers many of the favorite Kentucky species and is just 20 minutes from the Inn. *Houseboat rental, fishing boat rental, pontoon rental, bait, gasoline, open and covered slips, grocery nd ice, snack bar, day use area.